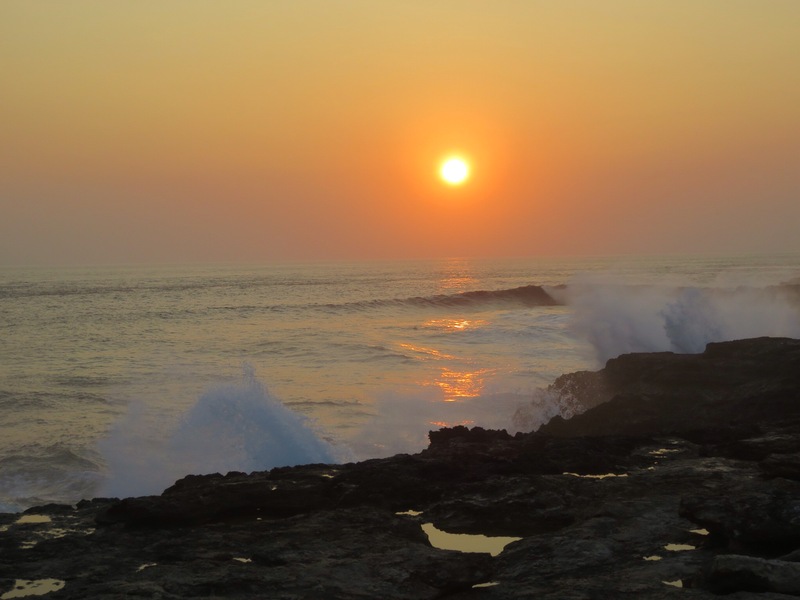 I’d been so envious of my friends when I had previously seen all their photos from their vacations to Nusa Lembongan. I couldn’t get over how blue the water looked and I knew for sure I had to see it for myself one day. 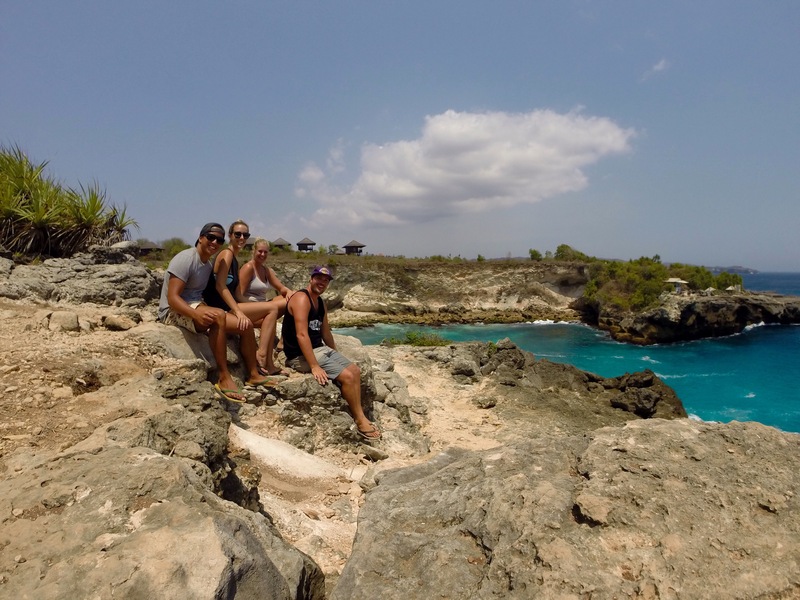 We met up with two of our lovely friends and finally headed over to Nusa Lembongan for four days (let me tell you right now, four days is NOT enough for this paradise). 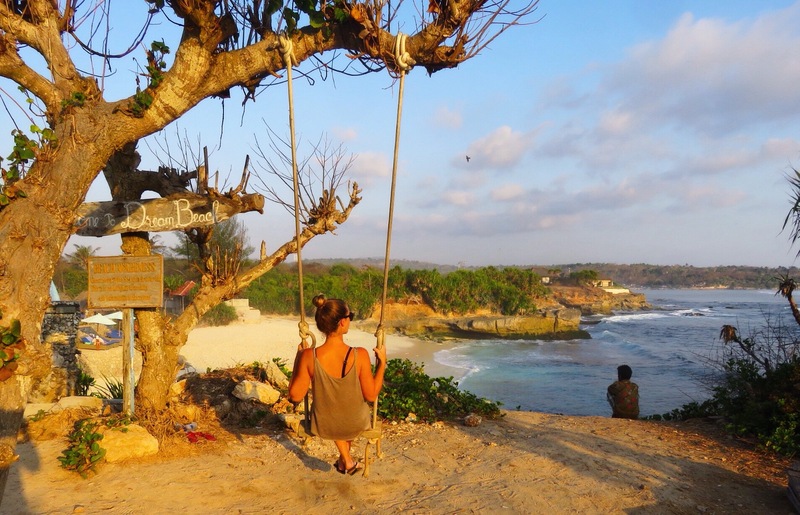 Nusa Lembongan is a little island located 30 minutes off the coast of Bali. I had read a bunch of reviews online when trying to choose a ferry company and ended up terrifying myself. There were reviews of people enduring extremely rough trips, overloading of boats, no life jackets, boats sinking..the list goes on. I was already scared enough about this trip and I had just made matters a thousand times worse! As it turns out, all that worry was for nothing! There are quite a few ‘fast boat’ companies to choose from as well as slow boat services so you have a lot options to suit your needs. We opted to go with Scoot as our friends had been with them before and felt safe. They are a little bit more on the expensive side but in Asia, I truly think you get what you pay for. The boats are in great condition, the captains are Australian trained and the best part is you get a FREE transfer from your hotel to the port and then again once you get to the island. This saved us so much money that we would have spent on a taxi! The fare was $70 AUD for a round trip (not really a backpacker budget, I know! but once you get to the island it will all be worth it!). After getting myself into a big stress, the boat ride was actually..dare I say…pleasant? The swell was huge and at times I lost sight of the horizon but our fast boat just cut through the waves and got us there safely and smoothly 30 minutes later. Thank goodness for that! There are so many beautiful luxurious hotels with stunning infinity pools located up the cliff overlooking the water, but if you are backpacking you will not be staying in one of these! We found a really nice family run guest house located a few streets back from the beach called Kawans inn. For $30AUD a night, we had a beautiful room with a really comfortable bed and our own bathroom. The owners were lovely and did everything they could to make our stay perfect. Breakfast was always served with a smile and a “how did you sleep”? I couldn’t recommend it enough! The only thing missing was the infinity pool with a view of the ocean, and to be honest I didn’t even miss that at all. We ate some of the best food so far in Indonesia on the island. There are so many great places to choose from. 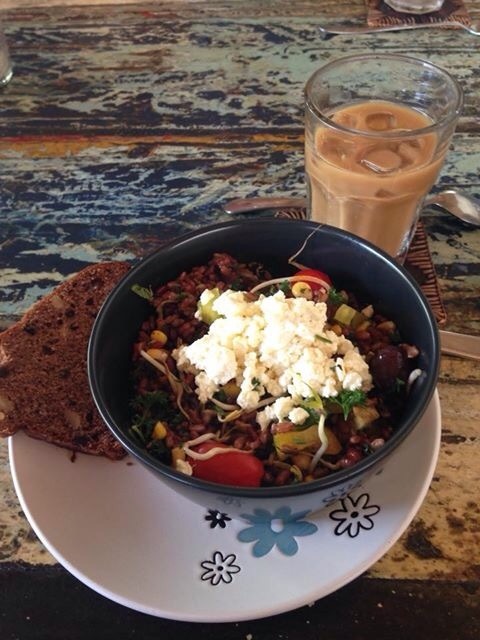 For the best coffee, healthy salads and smoothies in town head to Bali Eco deli. Whilst this isn’t authentic Balinese food, the coffee alone is worth adding this place to your list. Another favourite of mine was Warung Putu. This warung has a beautiful view of the seaweed farms and funnily enough, is known for their burgers. There is only one lady in the kitchen so be prepared for a little wait, it’s worth it though. 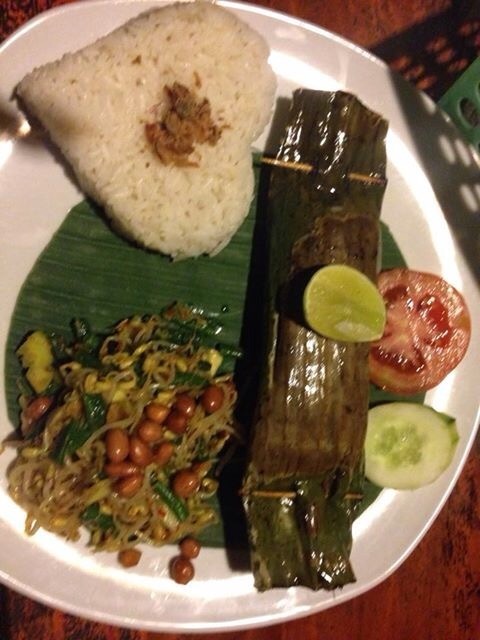 Last but not least, my absolute favourite was Warung Bamboo. Since it’s located a little out-of-the-way, it’s best to have a scooter to reach it as the street is quite dark and would be scary to walk down. 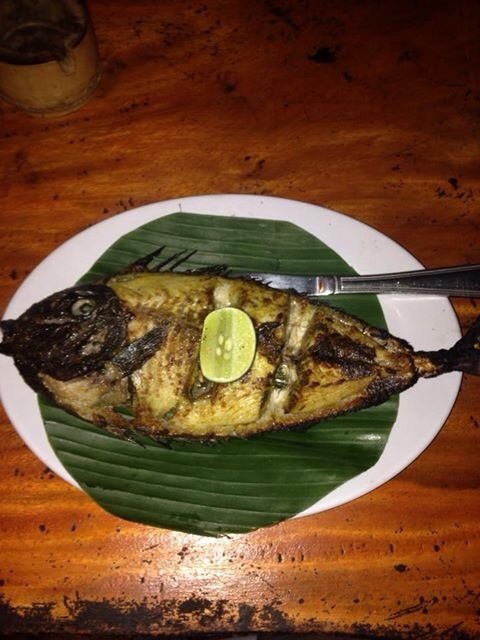 This warung is located right on the beach front and has some of the freshest, tastiest seafood in town. We went there twice and LOVED it both times. Try the snapper in Banana leaf or their famous Jacket fish that comes whole for only $7. You will not regret it! I would highly recommend renting a scooter to get the most out of your stay. There isn’t any public transport on the island so this is a great and cheap way to get around. A scooter with cost you around $7 a day including fuel. The roads are awful and full of pot holes so take it easy and go slow. 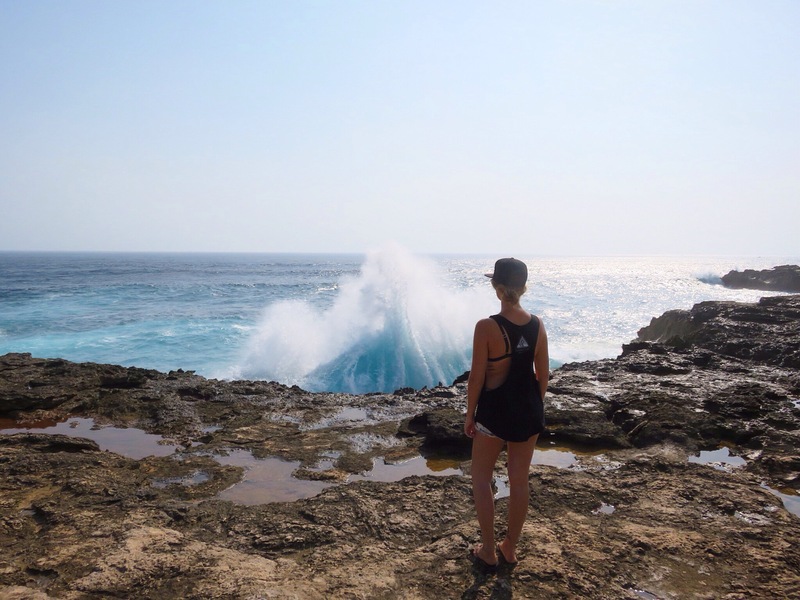 My absolute favourite thing to do on the island was visit the Devils tears. I loved it so much that we went three times in four days. 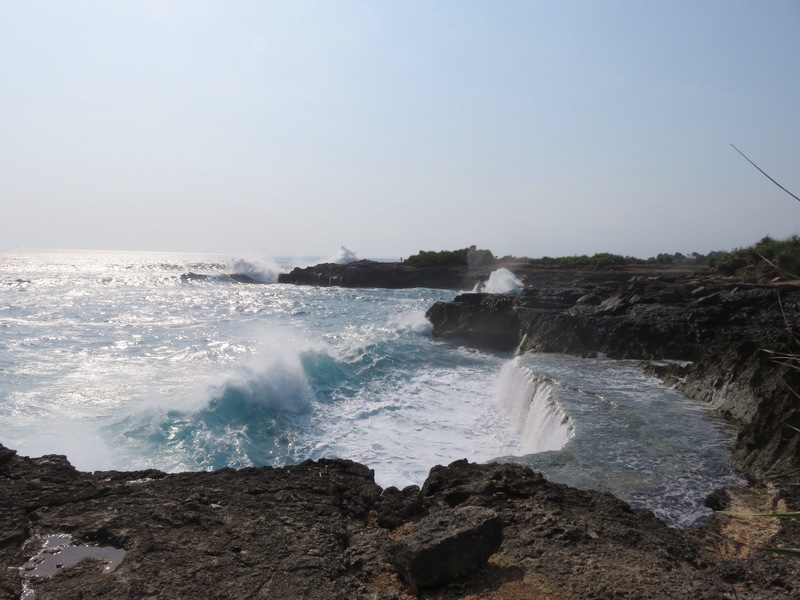 It consists of several look outs where the waves crash up onto the rocks in a very beautiful and dramatic way. I have honestly never seen waves so big and so powerful before, it was mesmerizing to watch. Stay away from the edge though as we saw a few tourists getting hit with the waves and falling over, this could have turned into a tragic accident. (tip: it is a great place to watch the sunset). Dream beach is located right next to the Devils tears and is a cool little sandy beach to hang out at. The current is really strong though, so be careful when swimming. There is a hotel with a restaurant and infinity pool you can hang out at too. They have a good happy hour and a swing that over looks the ocean. 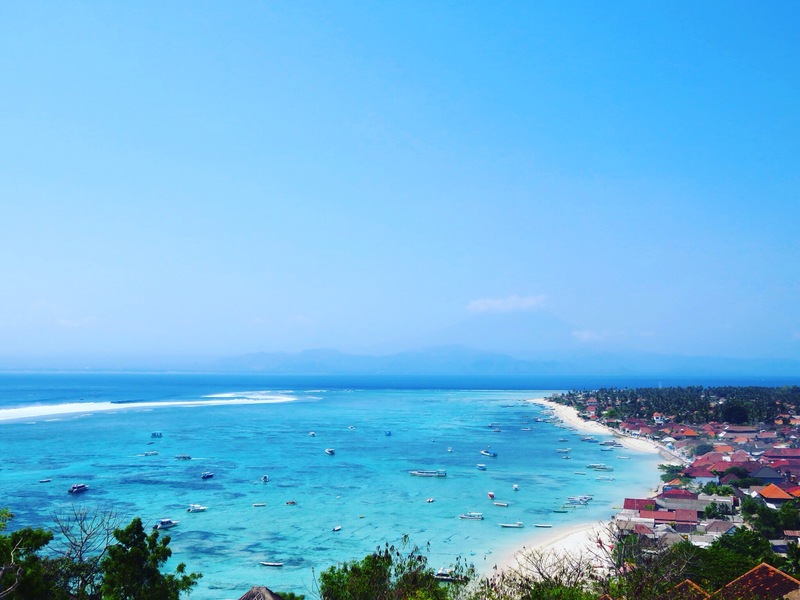 Take a trip over to Nusa Ceningan. 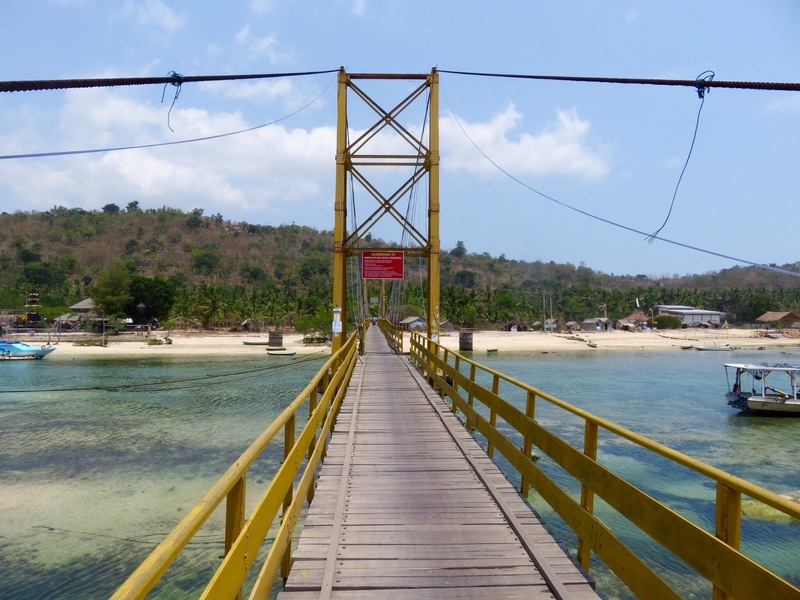 Nusa Ceningan, is a little island attached to Nusa Lembongan by an old, rickety bridge. 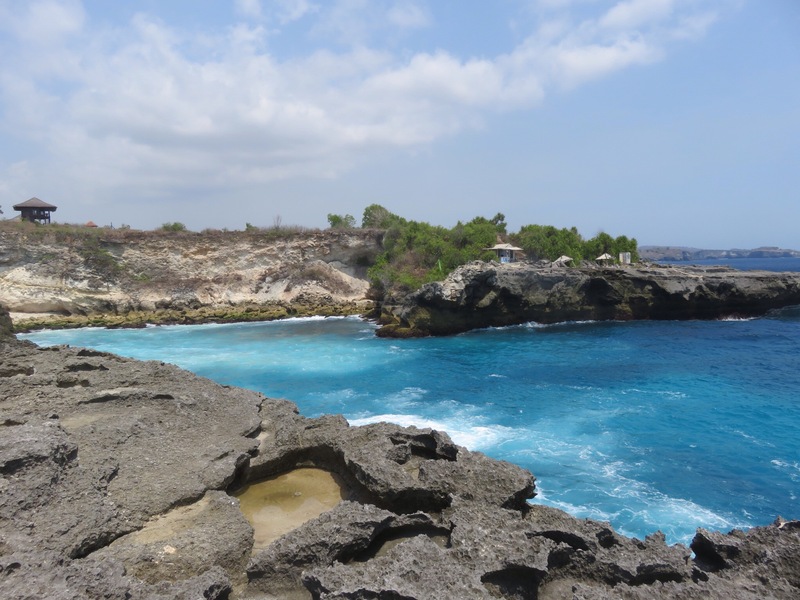 It is much less built up than Lembongan and the roads are far worse but it is definitely worth a visit. My favourite thing to see was the Blue Lagoon. The water here was such a rich, vibrant colour of blue. I don’t think I have ever seen water that shade of blue before. It was stunning. Head down to coconut beach at low tide and rent a paddle board for $5 an hour. I absolutely love paddle boarding and this is the perfect place to do it. 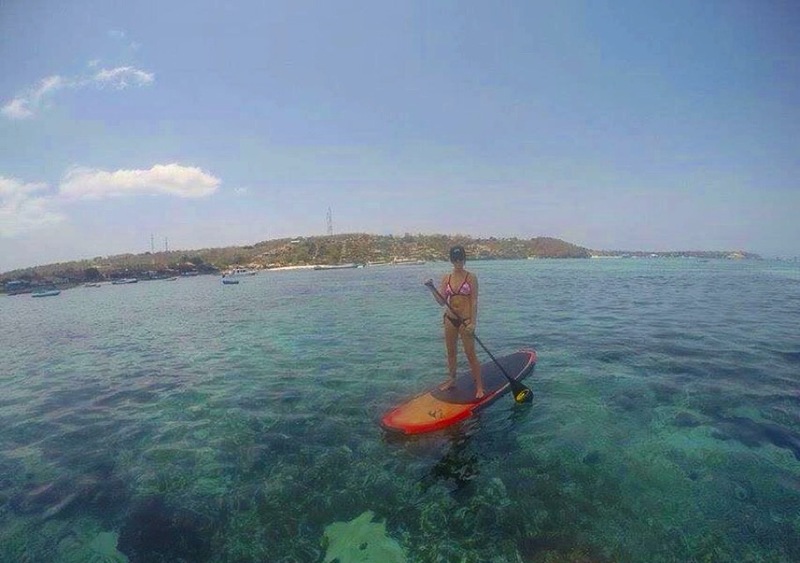 At low tide, the water is calm, clear, bright blue and you can paddle right over all the coral, fish and beautiful star fish. We did this every day and it was the perfect way the relax. On the last day however, during our paddle a dead cat floated past my friend Emily. It definitely put a damper on things. I hope for your sake, this doesn’t happen to you if you decide to paddle board! Haha. There are also a few surf breaks to check out if you are a surfer and lots of nice snorkeling to do. My friends did a snorkel trip and loved it, but I decided to sit that one out as the water was quite rough! It truly is a little slice of paradise and I could have easily stayed here a lot longer. It is the perfect place to come to relax, enjoy the clear blue waters and to escape the crowds and noise of the south of Bali. This guide proves that you definitely don’t need to spend a lot of money to have a good time! continue having a great time because life as it should be will catch up with you soon.